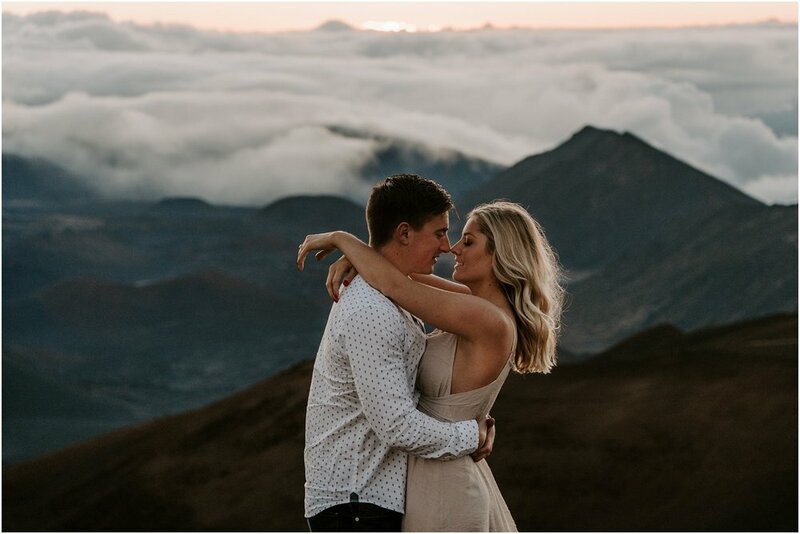 Kyle wanted to surprise Hannah with a sunrise shoot on Haleakala on Maui. Although it wasn’t an elopement, it totally felt like it was! Ryan + I camped out at the Hosmer Grove campground and Hannah + Kyle picked us up sharp at 5:30am. We chatted for a bit on our ride up and then hiked to our ideal location for the shoot. Ryan + I still can’t get over how incredible the sunrise is up on Haleakala. It truly takes your breath. 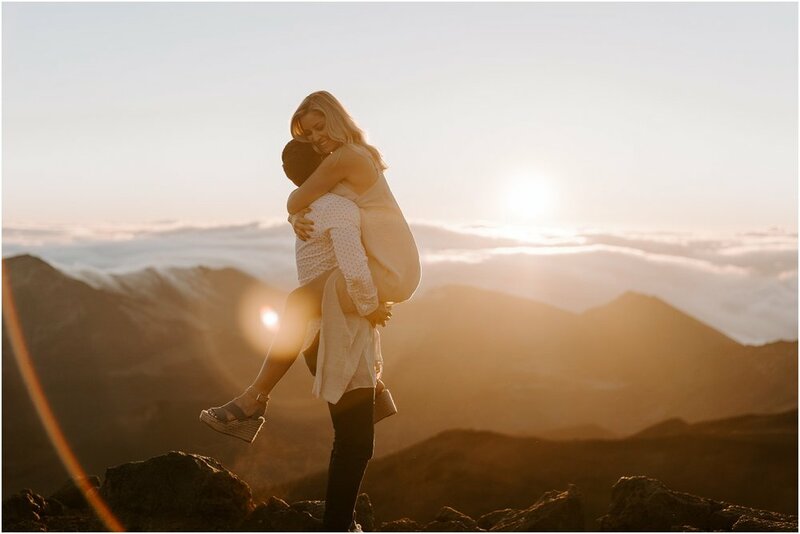 Being able to capture Hannah + Kyle’s love while watching the sunrise up on the mountain made it feel so intimate and special. 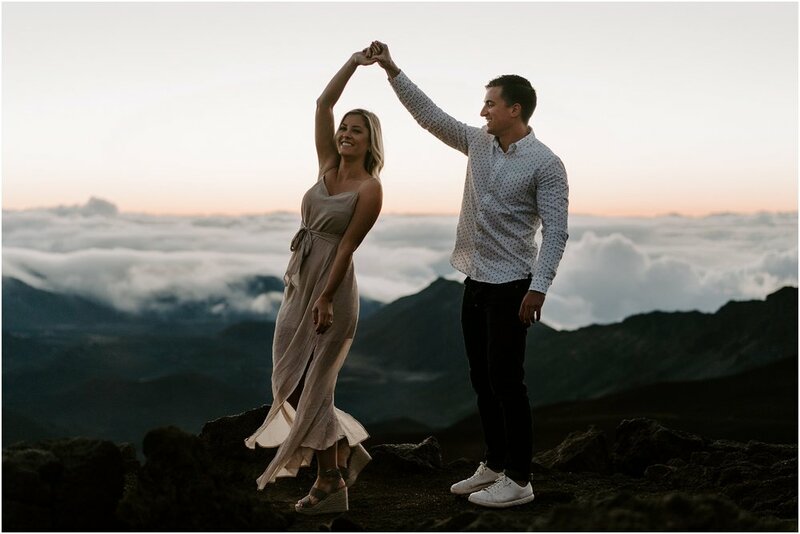 What made this occasion so much more special was the fact that Hannah + Kyle just got engaged while they were on Oahu just a week earlier. 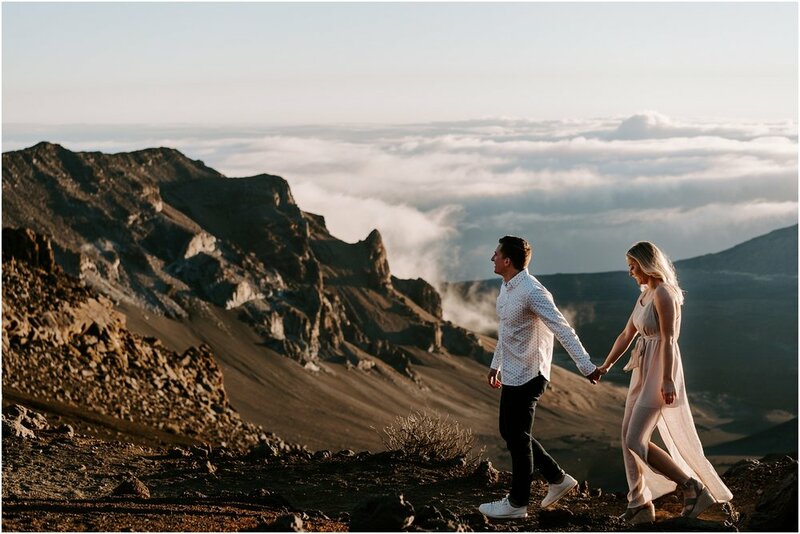 Kyle was so sweet in organizing a photoshoot for Hannah so that they could remember this incredible Haleakala sunrise while they were on Maui. After the amazing sunrise, we took these two to an incredible waterfall we found while on Maui. We had such a fun time adventuring to the waterfall and watching Kyle + Hannah interact so lovingly. These two played in the freezing water and even swam behind the waterfall. We had such a blast getting to know these two and we cannot wait for the next time they visit Hawaii.